A number of positive signs continue to develop within the Calgary housing market. 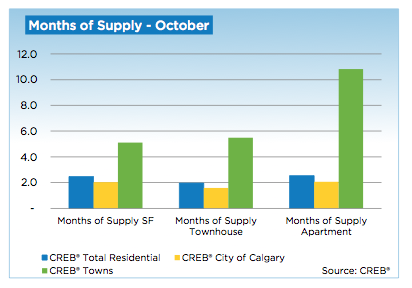 Nonetheless, the most recent CREB report shows that Calgary has still not reached 2006 levels. Anecdotal reports indicate that some prroperties are selling more quickly and that some are even selling at higher than the listing price. A year-to-date data analysis, howeever, shows that city wide sales are still far below what they were throughout 2005 through 2007. In all, residential sales activity reached 1,953 units in October. This represents an 19 percent increase when compared to 2012. These numbers also represent a year-to-date volume increase fo more than 10 percent. Year-to-date data also shows that the average residential home spent 37 days on the market before being sold. While this represents a 16 percent decrease when compared to last year, it is still about 17 days longer than the record low achieved in 2006. Year-to-date data also shows that the citywide sales price-to-list price ratio has increased, but it remains far below 2006 levels. In October, new listings reachesd 2,522 units in the city of Calgary. These figures reprsent a 9 percent increase when compared to the previous year. Although the increase in new listings did not result in a growth in inventory, these figures do represent the fourth consecutive month in which the city has achieved year-over-year gains. According to chief economist Ann-Marie Lurie, the rise in new listings can be mostly attributed to a combination of price growth and tigher market conditions. The increase is also helping to ease some of the market tightness. Nonetheless, the city of Calgary's housing market remains a seller's market. So far this year, a total of 14,340 single-family homes have been sold in the city of Calgary. This represents a 7 percent increase when compared to last year. Sales have also grown quickly and have exceeded expectations. This is largely due to the recent increase in new listings, which is limiting full growth potential. In terms of condominium apartments, a total of 3,482 units have been sold so far this year. A total of 2,774 condo townhomes have also been sold. Overall, condos comprise a small segment of the housing market. Nonetheless, year-to-date sales are 18 percent higher when compared to last year. The unadjusted benchmark prices also indicate that the market is improving. Single-family home prices benchmakred at $468,000, condominium apartments benchmarked at $376,100 and townhouses benchmarked at $302,000 in October. All of these figures represent an increase when compared to September of this year and October of last year. Overall, condominium apartments have been increasing at a faster pace than single-family homes. While single-family and condo townhouses have increased by eight percent when compared to last year, condo apartments have increased by 11 percent. Unadjusted condominium prices, however, remain 7 percent below their highest levels.